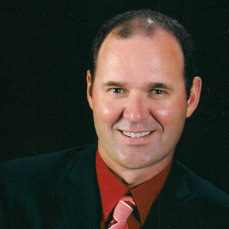 Dr. Brad Campbell received his Doctorate of Dental Surgery from Dalhousie University in 1998. That same year he travelled to British Columbia to start his career. Returning home to Prince Edward Island in 2000, he joined Dr.Peter MacDonald on Hillsboro Street where he delivered an exceptional level of patient care at that practice. In 2006, he made the decision to open his own practice and evolve it to where it is today, Riverview Dental. Brad is passionate about keeping current with the latest advances in dentistry. He has completed hundreds of hours of post graduate dental education in efforts to provide complete dental care to his patients. “My continued learning and training beyond the basics of dental school has opened so many possibilities for myself and for my patients that I had never imagined likely when I began my dental journey. I am genuinely fulfilled when I see the smiles of my patients once they have completed their treatment. They are a renewable source of energy, which motivates me to stay current with the best continuing education and technology possible.